Find plenty of scary fun at Halloween haunted houses in Nevada for 2018. Lots of ghouls and zombies run about the deserts in Nevada. Bring your friends to the local haunted houses, haunted trails, scream parks, and Las Vegas haunts this year. Expect to find more vampires, ghosts, zombies, and creatures of the darkness for a price similar to a movie ticket. Nevada haunted houses come complete with animatronics, live actors, air blasters, costumes and makeup for your thrills and chills. 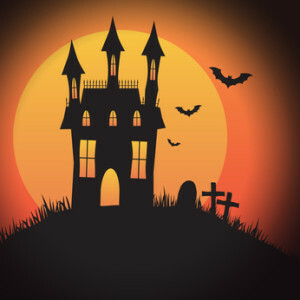 Funtober has a complete list of haunted houses in Nevada. Deep into the swampland find the Kilburn Reform School. Many have entered but no one has ever left. Open weekends starting around October 12th. For certain locations, it might be better to search for haunted houses in one of these neighboring states. Have you visited one of these haunted houses? I would love to hear what you thought. Did you have a good time? Was it worth the price? Would you suggest it to your friends? Any tips to maximize your experience? I’ll gladly publish what you send me and give you an over the internet hug. we are a home haunt that is going big this year. we have a walk thru style haunt with both actors and props the name of our house is “The House of Horrors” . Hours of operation are 8 pm to 10.00 pm. We start scaring on OCT 17 thru the 31st. We are hope are hoping to raise money to give to the junior diabites reseach fundation . Prices are very good at $5.00 per soul 11 years and up, and $2.00 per child W/free ghost glow stick. Thank you for your concerdration .